The chancellor of Germany has officially inaugurated the largest headquarters of any spy agency in the world. Last Friday, Angela Merkel led the public ceremony that marked the opening of the Zentrale des Bundesnachrichtendienstes, which is the new headquarters of the German Federal Intelligence Service. Known by the initials BND, the agency operates as Germany’s primary foreign intelligence service. It employs close to 7,000 people in more than 300 locations around the world, and its annual budget is approximately €1 billion ($1.13 billion). Until recently, the BND was headquartered in the outskirts Munich, in the southern German state of Bavaria. But as of last week, the spy agency has officially moved to its new headquarters in downtown Berlin. The massive new complex is located in the German capital’s affluent Mitte district, just a stone’s throw from a section of what used to be the Berlin War —a major symbol of the Cold War. The new complex spans 3 million sq. ft., making it the largest headquarters of any intelligence agency in the world. The United States Central Intelligence Agency’s headquarters at Langley, Virginia, comes a close second. Construction on the site in Mitte began in 2006 and was initially scheduled for completion in 2011, but was finally finished in 2017, 12 years after it began. It cost approximately €1 billion ($1.13 billion). British newspaper The Guardian reports that the new complex consists of 20,000 tons of steel and has 14,000 windows and 12,000 doors. The land on which the new BND headquarters is built used to be the site of police barracks, until it was heavily damaged by bombing carried out by the Allied forces in 1945. Following the partition of Germany, East German authorities built a sports complex and stadium on the site, which was demolished in 1999, in preparation for Germany’s unsuccessful bid to host the 2000 Summer Olympic Games. According to reports in the German media, just over 3,000 BND employees have already relocated from Munich to the new BND headquarters, while another 800 are expected to relocate there in the coming year. During her speech on Friday, Chancellor Merkel said that the world was becoming “increasingly confusing”, which made the need for a “strong and efficient [German] foreign intelligence service […] more urgent than ever”. Interestingly, the new complex features a sizeable visitor’s center that is open to the public, making the BND the world’s first foreign intelligence agency with a public-access visitors’ facility. Hi Ian. Regarding “The new complex spans 3 million sq. ft., making it the largest headquarters of any intelligence agency in the world.” Granted the BND may have the largest Foreign (HUMINT) HQ. Setting aside how many millions of inches the new BND HQ takes up, it shows Germany continues in its growth to become a force to be reckoned with. That growth will accelerate as long as the USA and the UK are perceived to be undergoing political earthquakes. 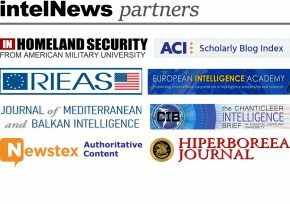 What happened to your “intelNews social links” which used to accompany each article you published?